Biblical ABC Learning can also be purchased by clicking the link below to my estore. To receive an autographed copy of Biblical ABC Learning, send an email to majesticlioness78@gmail.com using "Autograph Copy" for the subject. Be sure to include your name and mailing address in the email. Once the request has been received an invoice will be emailed for payment. When the payment is received your copy of Biblical ABC Learning will be "signed, sealed and delivered!" Biblical ABC Learning can be utilized in multiple ways at home, in church, in school, etc. Biblical ABC Learning can be a day-by-day learning journey. Children and parents/teachers can focus on one letter/word per day! With the inclusion of the book, chapter(s) and scripture(s), time can be spent referencing, reading and learning about one Biblical person, place, event or book of the Bible per day also! Biblical ABC Learning can be used in Sunday school and/or Vacation Bible School with primary classes(around age 2-4/toddlers) While they are learning and reading about various people, places, events and books of the Bible, they will be able to enjoy enlightening illustrations to help enhance the visual of what they are learning. Learning the alphabet can also be included for those that are in the "alphabet learning phase." Biblical ABC Learning can also be used in the advanced Sunday school and/or Vacation Bible School classes. The Biblical learning will be useful in teaching the advanced youth about different people, places, events and books of the Bible. Biblical ABC Learning can be used as a questionnaire to find out what the older youth already know or need to begin learning about! Families can enjoy Biblical ABC Learning together in the comfort of their home! Even if the kids have surpassed the alphabet learning stage, the Biblical learning remains useful. Families can enjoy learning about parts of the Bible they did not know and/or enhance their knowledge of the parts they want to know more about! Though Biblical ABC Learning is primarily for toddlers/kids learning the alphabet, the Biblical learning has no age limit. The main goal of Biblical ABC Learning is for kids to begin learning about the Word of God as they learn the alphabet. A sub-goal of Biblical ABC Learning is for children of all ages to begin learning and/or learn more about the Word of God! The Biblical learning can also be beneficial to adults. When it comes to reading and learning about the Word of God, there is no age limit. We all need to be knowledgeable of God's Word! 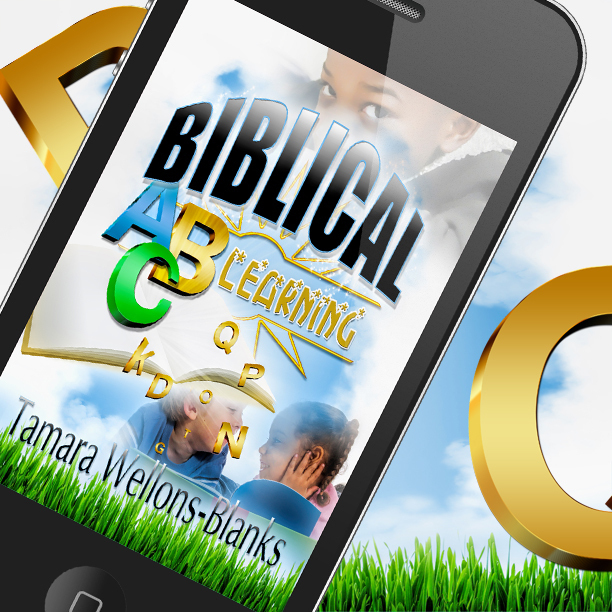 BIBLICAL ABC LEARNING EBOOK RELEASE WILL BE SOON! The tragedy in Orlando, Florida over the past weekend is being named/labeled as the deadliest mass shooting in the United States and nation's worst terror attack since 9/11! As I followed the coverage periodically throughout the day, my main thought was, "Lord have mercy on us all!" I know that we (myself included) all gossip, talk, lie, whatever you want to call it, but my question is, "Are we, as a people, really that hateful, envious, jealous and selfish towards each other that murder is the only option?" I will not be releasing POETIC COMPILATIONS OF THE HEART MIND AND SOUL, but I will be posting a poem from the compilation. Just a mental note, the gist of the poem is, "The only thing we have to do is love each other, not judge, not bully, not kill, not show bias or prejudice, only love." I will be posting the poem later today! Continue to visit & follow my websites and social media to remain updated with Biblical ABC Learning and much more! This is really good way of learning for the children i think. This device can really help in learning at good pace o all children. Thanks for sharing this detail about the purchasing of the product.visit http://www.rushmypapers.org/ for more info.